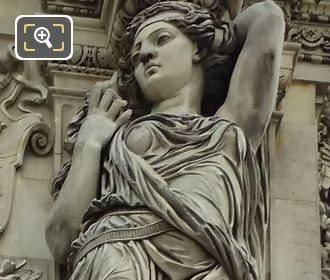 We were again at the Musee du Louvre in the 1st Arrondissement of Paris, when we took these high definition photos showing a caryatid on the western facade of Pavillon Turgot, which was sculpted by Pierre Jules Cavelier. This first HD photo shows one of two female figures next to the top window on the Pavillon Turgort and spelt Caryatides in French, or Caryatids in English, these were decorative statues put in place in 1857. 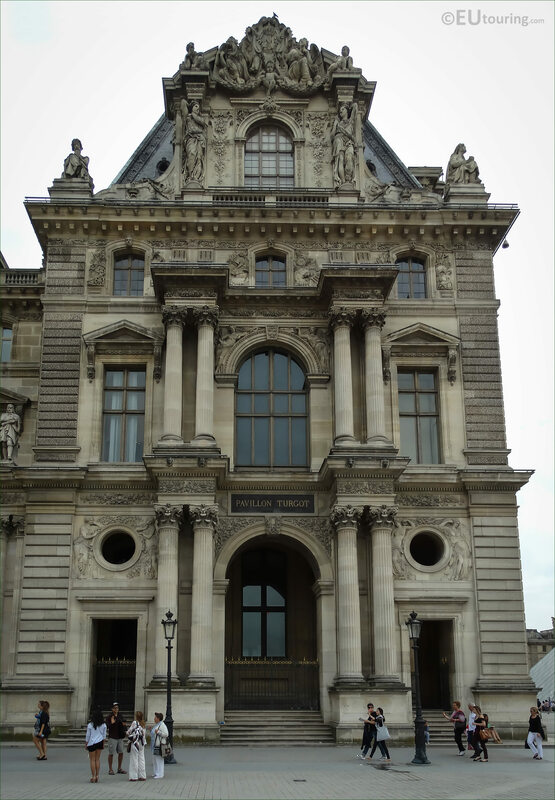 Now there are actually two facades that can be seen in all their glory on the former Palais du Louvre and this particular one can be seen from the Cour du Carrousel overlooking the Tuileries Gardens, even though the wing is classed as within the Cour Napoleon courtyard. 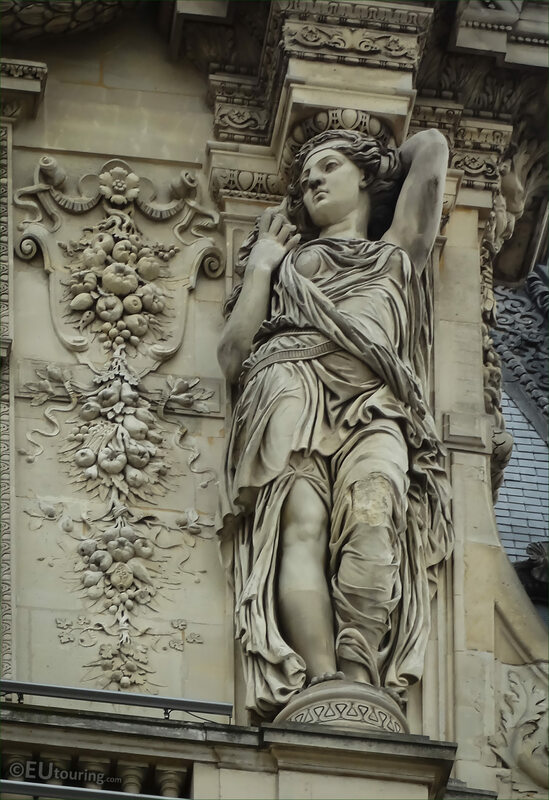 And to provide more of an idea as to what a caryatid is, this is an ornate sculpture of a female figure that serves as an architectural support instead of a standard column, and they always have an entablature on their head to support the structure above. 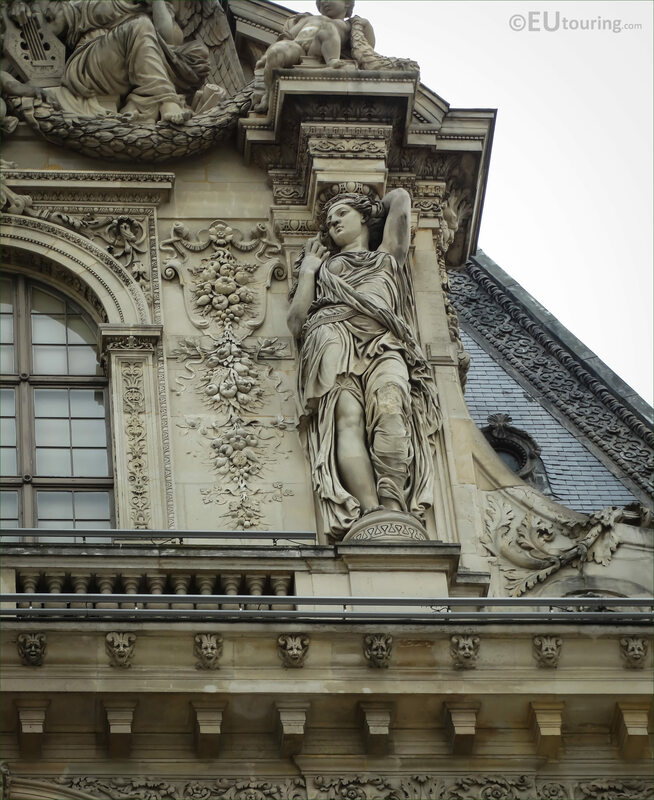 So this particular caryatid you can see stands on the right hand side of the window and was sculpted by Pierre Jules Cavelier, who was born in Paris in the August of 1814 and became a French academic sculptor. Pierre Jules Cavelier won the Prix de Rome in 1842 and spent a few years at the Villa Medici furthering his studies, and upon his return to Paris he received numerous public commissions for historical buildings and tourist attractions in the city including these statues. But, as well as having a prolific career as a sculptor, Pierre Jules Cavelier also became a Professor at the Ecole des Beaux Arts and among his students were people such as Louis Ernest Barrias and Eugene Guillaume. 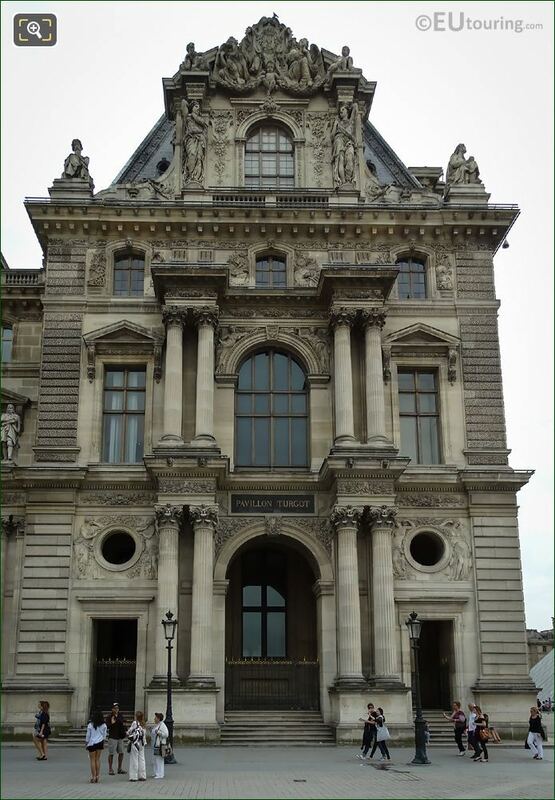 Now with this last photo you can see the whole western facade of Pavillon Turgort with its different columns, statues and sculptures, including the two ornate caryatides statues next to the top window.